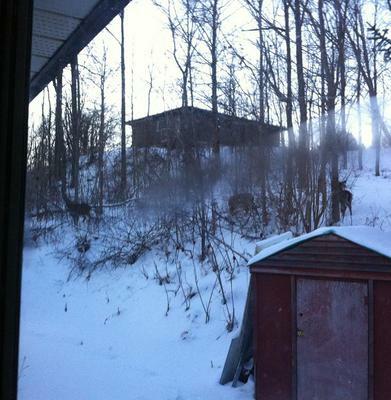 A few weeks ago I was working at the computer and my daughter said "Mom, look outside, there are deer in the back-yard". 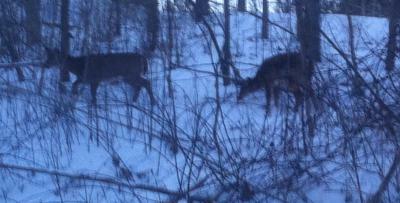 Sure enough, there were three White Tailed Deer walking through the forest at the back of our house, quite close to us. It appeared to be a doe with two almost-grown youngsters and they casually walked around to the side of the house and then strolled off into the forest. 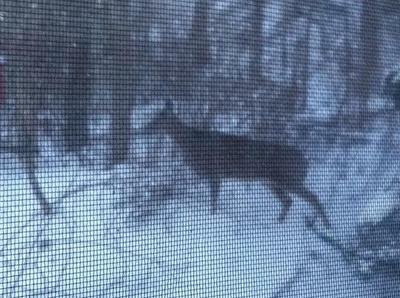 This took place at dusk just outside St Thomas, Ontario, in mid-December 2013. Join in and write your own page! It's easy to do. How? Simply click here to return to White Tail Tales.